*This review was originally published over at The Englewood Review of Books. If you have a few minutes, please go check out some of their other reviews. 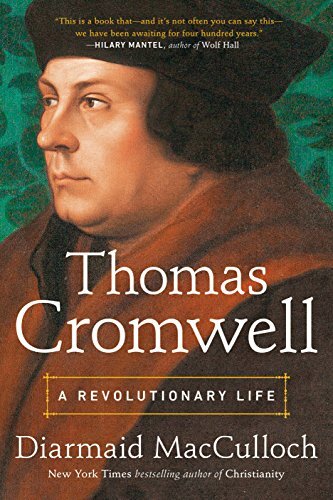 Thomas Cromwell’s administrative prowess, enigmatic personality, and the striking nature of his rise and fall provide rich material for both fans of Hilary Mantel’s novels and aspiring historians wanting to sink their teeth into the fraught world of 16th century Tudor England. For these audiences, I think Diarmaid MacCulloch’s Thomas Cromwell: A Revolutionary Life may become one of their more long-lasting guides and conversation partners. 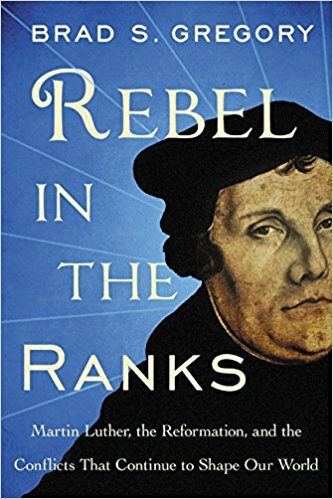 MacCulloch possesses impressive credentials as a religious historian of the English Reformation in particular and Christianity more generally, so from one perspective, it’s interesting to see him take on a biography of Cromwell, who is sometimes viewed as a coldly calculating, rather Machiavellian secular figure (4). One of MacCulloch’s aims in this work, though, is to subvert this estimation of Cromwell and show how his religious and political motivations were intertwined (4, 371). Katharine Gerbner’s Christian Slavery is a meticulously researched, insightful, and at times haunting read—haunting because it feels like the past is always with us. 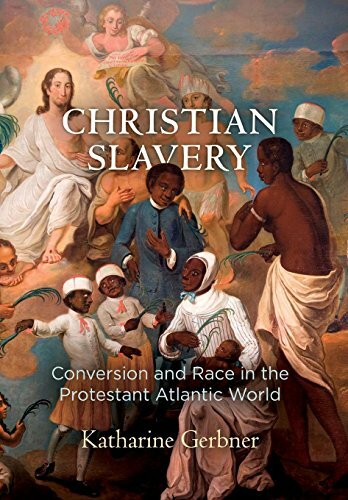 First and foremost, this is an academic work of religious history, but as Gerbner goes into the historical roots of, to use Jonathan Wilson-Hartgrove’s phrase, “slaveholder religion,” the book’s significance doesn’t seem confined to the past. Throughout its pages, Gerbner endeavors to trouble accounts of this historical period that overly-focus on searching for possible early precedents of the 19th century antislavery movement. She argues that it’s significant to acknowledge and recognize that the history of early Protestant missionary efforts unfortunately includes both ideological accommodation to slavery as well as struggle against it (3-4). It’s now been five hundred years since Martin Luther sparked off the Protestant Reformation with the publication of his Ninety-Five Theses. Whether or not he actually pinned them to a church door in Wittenberg or just sent them to Archbishop Albrecht, the ensuing movement of reform and protest against aspects of Roman Catholic practices and beliefs that began with him ultimately shook the foundations of the Western church and led to both religious renewal—for both Protestants and Catholics—and sadly also centuries of strife, division, and bloodshed. To say the least, the legacy of the Reformation era that we’ve inherited is a complicated one. How should we understand Paul’s significance as a leader in the early Christian movement? He was a passionate, strong-willed man, and his legacy has been deeply influential. In his missionary efforts, Paul was remarkably successful at planting and fostering communities of Jesus followers in towns and cities scattered across the Roman Empire, and in the course of these efforts, he was no stranger to disagreement or conflict. Remarks in his own letters and other New Testament passages like Acts 21-22 give ample evidence for this. 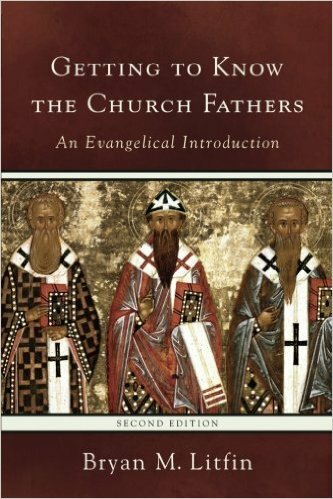 For many of those cracking open the pages of Bryan Litfin’s book, Getting to Know the Church Fathers, this is their first real glimpse of the ancient Christian church. 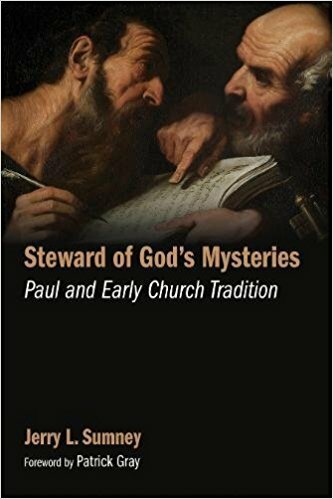 Rather than returning to old, familiar friends, they are embarking on an exploratory journey that will hopefully enrich and deepen their appreciation for the church fathers (p.1). 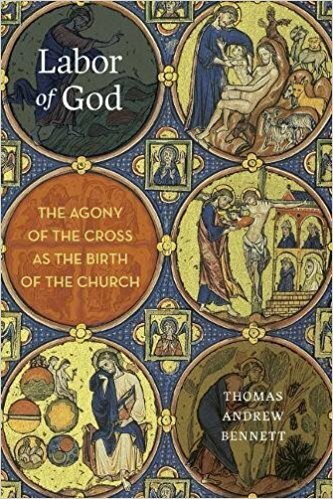 First, a slightly provocative—and hopefully not completely unsubstantiated—claim: It seems to me that Andrew McGowan’s Ancient Christian Worship explicitly tells a story and implicitly makes an argument. In each of his colorful and well-written chapters, McGowan takes people on a trek through the different ways in which ancient Christians worshiped. He introduces readers to influential theologians like Augustine, Origen, and John Chrysostom, sharing ample examples from their writings on worship. 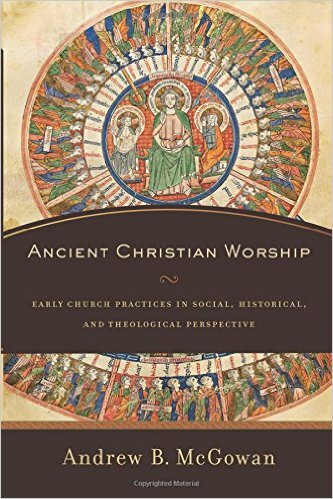 McGowan also incorporates archeological research and makes use of fascinating early Christian documents like the Didache and the Apostolic Tradition, which give glimpses of how these ancient communities lived out (or sought to live out) their worship practices.